Every year, around 90 New Zealanders die in crashes while not wearing their seatbelt. 30% could have survived had they belted up. They’d have been injured, but alive. Young rural males make up the majority of these fatalities. In their minds, seatbelts are for kids or pussies; to them, it’s an unnecessary accessory. To show them a seatbelt was a tool worth using, we flipped a sign of weakness into a symbol of survival. 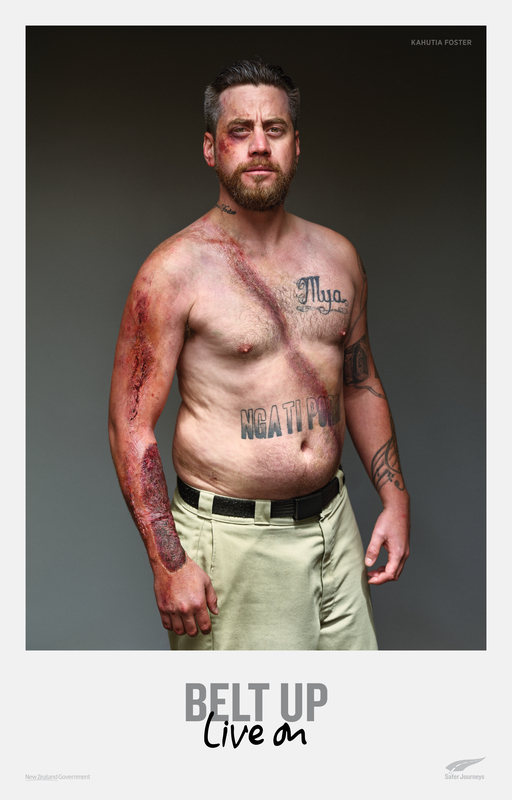 By turning the marks left behind by seatbelts in a crash, into a badge of honour. One that was proudly worn by the real people who survived because of it.